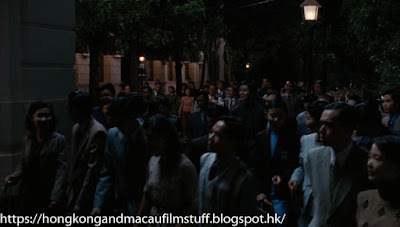 Welcome to my blog about HK and Macau film locations. 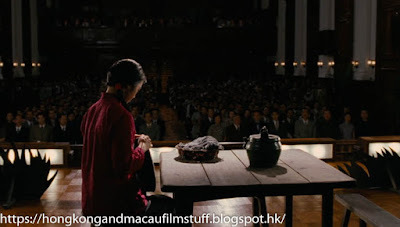 In the film, the main protagonist (played by Tang wei) attends Lingnan University where she is first introduced to her revolutionary compatriots through their acting troupe. The scenes were actually filmed at Hong Kong University and there are several familiar locations that we saw earlier in the year when looking at John Lone's Shadow of China. 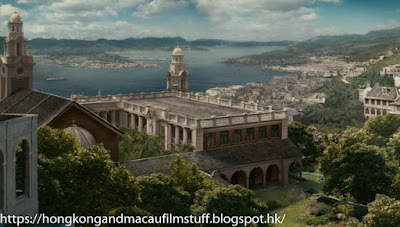 The initial establishing shot is a computer generated view of what Hong Kong should have looked like in the late 1930's. I think the filmmakers did a fairly decent job and you can see the result in the first picture. 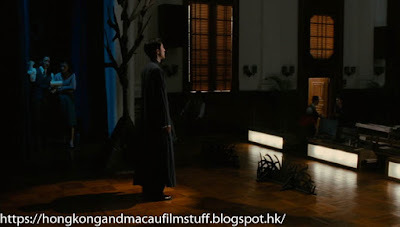 The main building has several courtyards and there are a couple of scenes filmed here on the upper floor and also on the ground around an ornamental pond that was also seen in the aforementioned Shadow of China. We also get to see a few brief views of the main entrance to the university's main building as the audience files in to enjoy the show. And, finally, the hall in which the show takes place is the Loke Yew Hall. 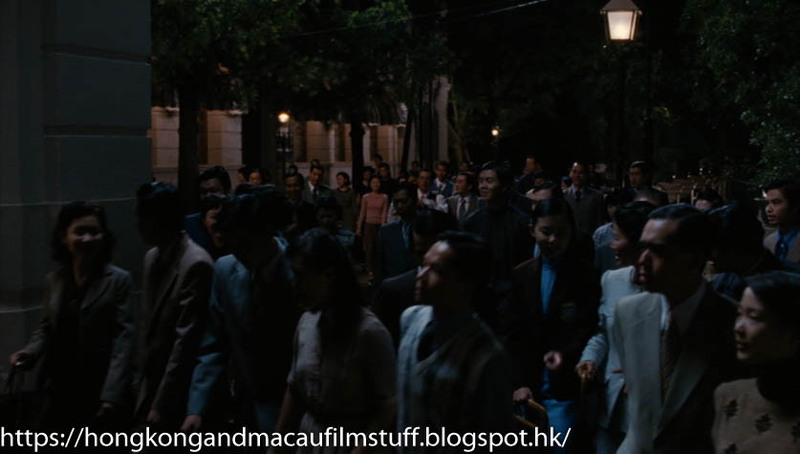 Film grabs property of the respective copyright holders. 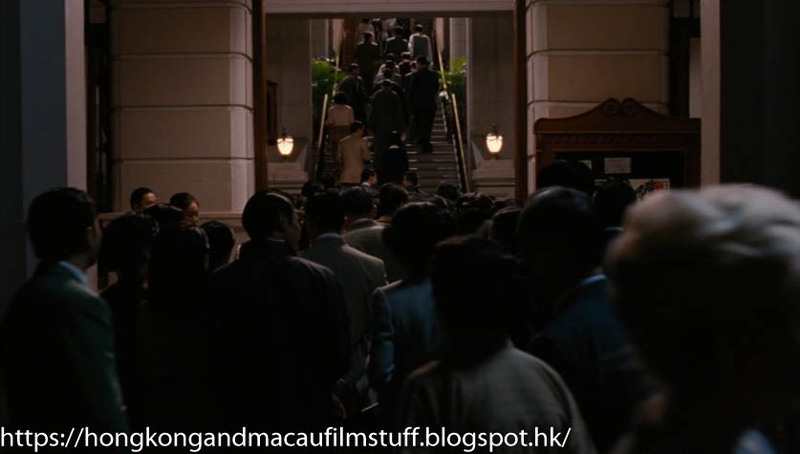 Used under Fair Use Act. Awesome Inc. theme. Theme images by mattjeacock. Powered by Blogger.